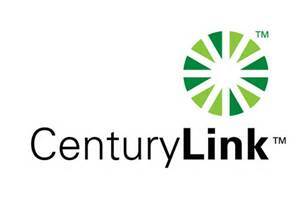 CenturyLink is a relatively small Telecom player, but they are the main provider of traditional (wired) phone service in Las Vegas. 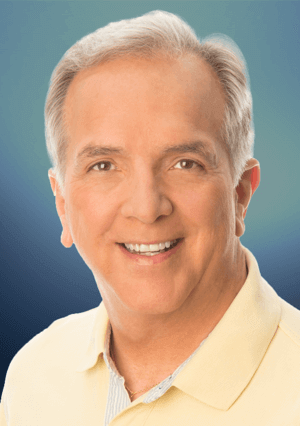 They are also aggressively moving into competitor Cox Cable’s typical realm: TV and Internet. Which is why Adobe should talk to them. You see, Tuesday, CenturyLink’s internet service went down all across the country. Something went wrong with their core servers, and more than a million customers nationwide lost Internet service…including Las Vegans. From 1:30am till about 10am tons of people had to make-do without their internet. 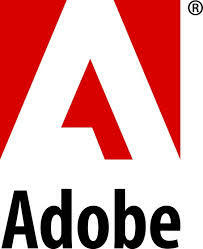 So why should Adobe Systems care? You know…Adobe: the software powerhouse…the developer of Photoshop and Premiere and Acrobat, and — especially for many Voice Actors — Adobe Audition. Well, coincidentally, Adobe announced yesterday that Adobe’s aggregated Creative Suite software product would be moving to “the cloud”. That means designers, photographers, videographers, web developers, and voice actors will be getting future versions of Adobe software from an online server, not from an installed CD set. I get it. Everybody and their 3rd cousin is moving to the cloud. I’ve extolled the virtues of the cloud a number of times in this blog. Overall, I think moving programs, storage, and communication online is a brilliant idea, and a juggernaut that can’t be stopped. Then…something like CenturyLink’s outage happens. Alright, then, just so you know…this is the risk we accept by moving to “the cloud”. If you were expecting to upload your final audio files from your Las Vegas home to a needy client on a Tuesday morning deadline, you would’ve been in trouble. Maybe if you had a neighbor with Cox internet, and he owed you a favor, you might’ve gotten it done. Also (and you heard it here first)…if the Chinese keep up their unabated hacking into American Defense systems, you can expect this to happen a lot more…I’d even go so far as to say that future wars will be fought online, not on desert steppes. In fact, the USA would be hobbled by cyber-attacks on our internet system, water systems, energy grids, you-name-it. But that’s not today, or tomorrow…just down the road. In the meantime, if you don’t use Adobe Audition, get ready for Avid, or Sony, or any of the other audio-software developers to go “cloud” too, and within a year or two. And if I were you, I’d be seeking reassurances from YOUR local provider that they have a back-up plan when their “core servers” go down. I’ve been using the Creative Cloud Suite for almost a year. The software actually lives on your computer…it’s just downloaded (and updated, when necessary) from the cloud to your computer. An internet outage would only prevent you, as you mentioned, from uploading the completed work to the client…the software doesn’t actually run from the cloud itself. And when your laptop gets stolen (as mine did, in Vegas on Sept. 11, 2012 [I ended up getting it back…thanks, Metro PD!]) you simply have the cloud re-download all your Creative Suite software to your new machine. It’s a brilliant system, and it works flawlessly. I travel with a Verizon aircard, and have it set up so it can function as my home Internet system as well, for when Time Warner goes down. It’s happened twice in the last couple of years, and of course I was desperate to get work out to a client on both occasions. I think anyone whose livelihood depends on Internet connectivity should absolutely be spending $50 per month for a wireless Internet solution that isn’t provided by their main Internet carrier…it just makes sense. Thanks for the reminder Craig! I’ve been meaning to set-up Verizon as a backup internet “Hot Spot”. I’ve been with Charter Business Internet for over 5 years now, and they’ve been great! They have only gone down 3 times (Due to wildfires… yes, I’m in California). I had to drive all around town looking for a free wi-fi location. I actually ended up transferring files from the lounge of a local bar. Sure the beer was cold, but the whole process was a pain. I appreciate the tip. Cheers! You’re right. The need to fill the gap is rare, but doesn’t it always seem to hit at the worst possible time? Check out the mention Craig made, and my response to him too. Another solution is making your smartphone a hot-spot…that works well for a lot of VO’s I’ve talked to. Great insights. Thanks for the clarification. That’s different than the new MS Office suite and MS365 Office, which Enteprise programs actually run from the cloud. I’m not sure which is better, considering all angles. As far as the wireless option, I’m like you…I keep an AT&T card handy. It’s $40/mo…but it’s saved my bacon more than once on the road. Thanks for stopping by and contributing to this conversation… love it!